SHARE THE LOVE IN EVERY BITE. 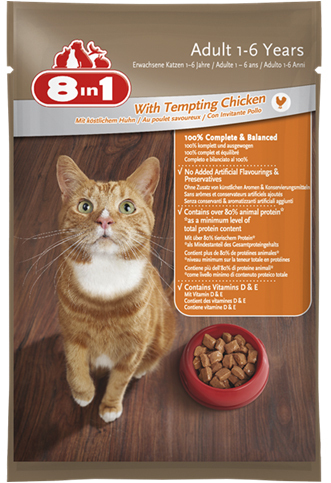 100% complete and balanced pet food for adult cats. Because you love them...balanced nutrition for healthy happy pets. No added artificial flavourings or preservatives. - Carefully created for each lifestage.